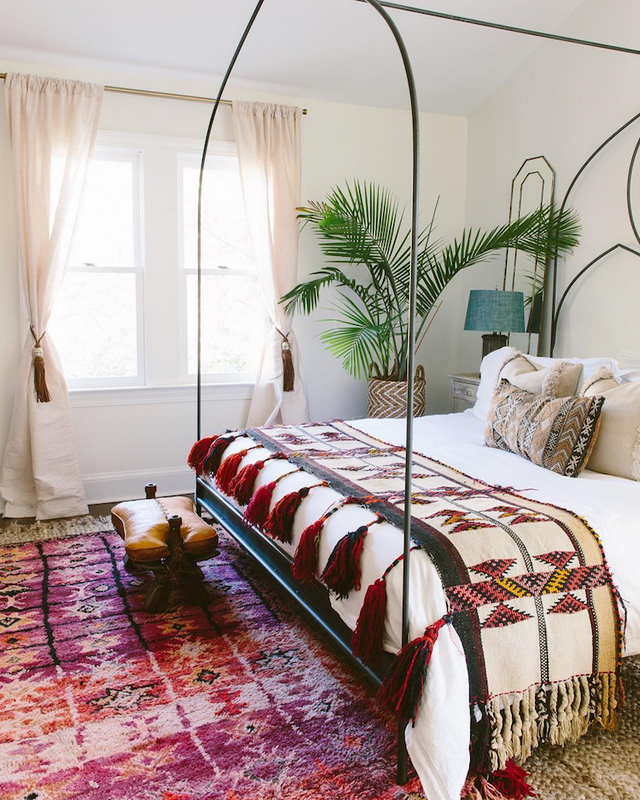 What a lovely place! 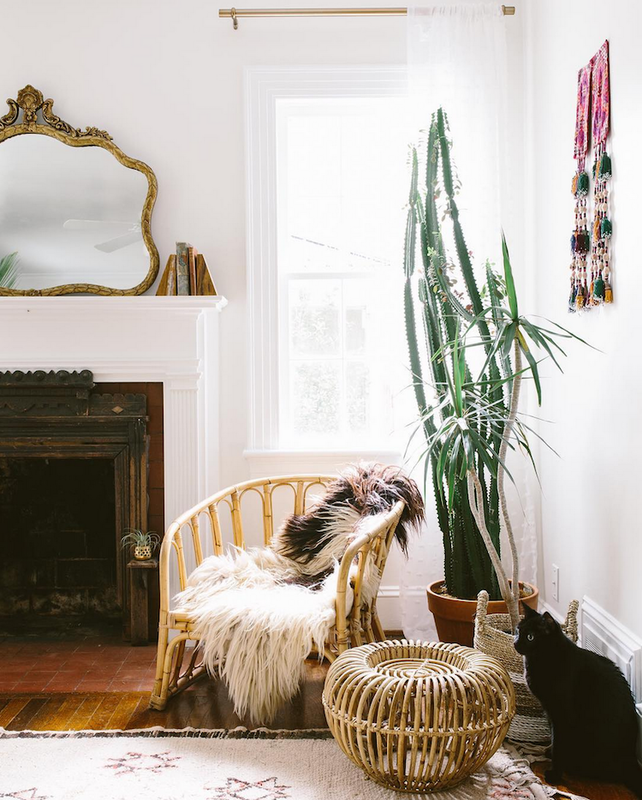 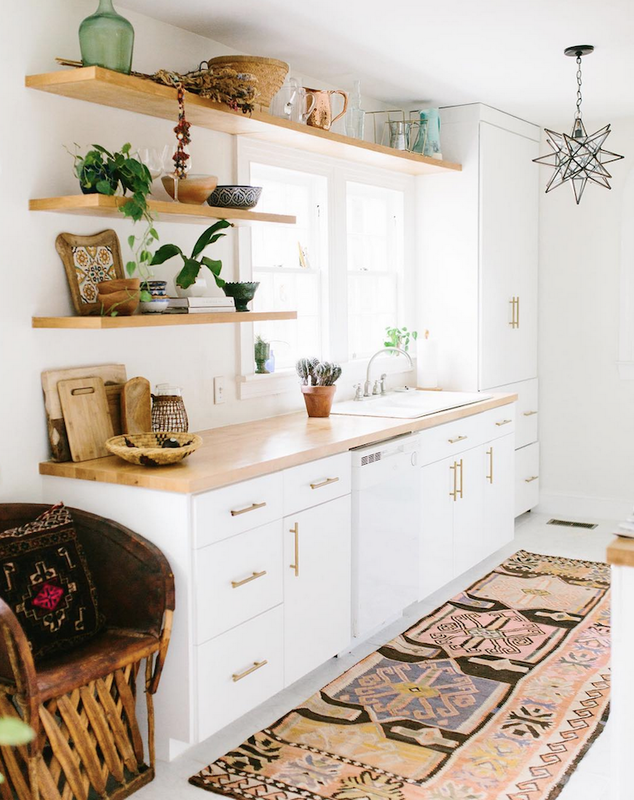 You are looking at the home of stylist & photographer Carley Summers in North Carolina, USA. 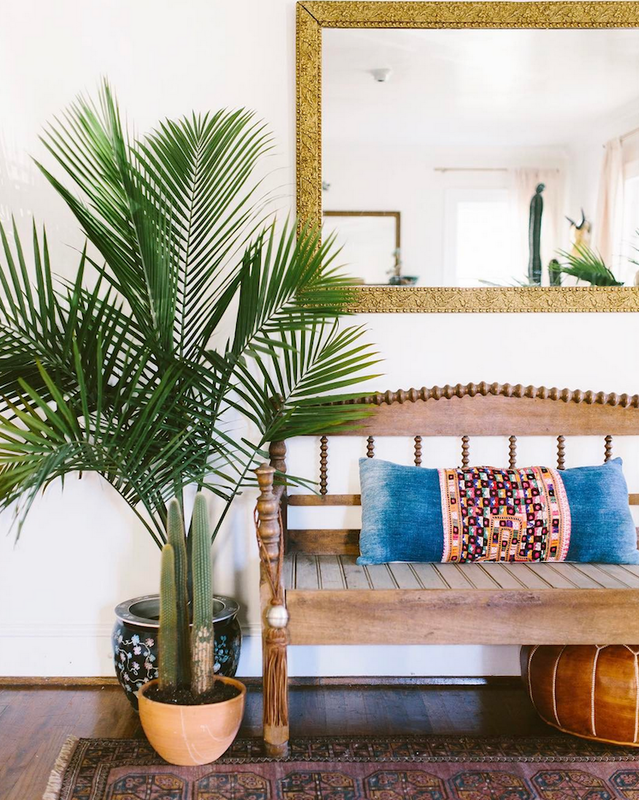 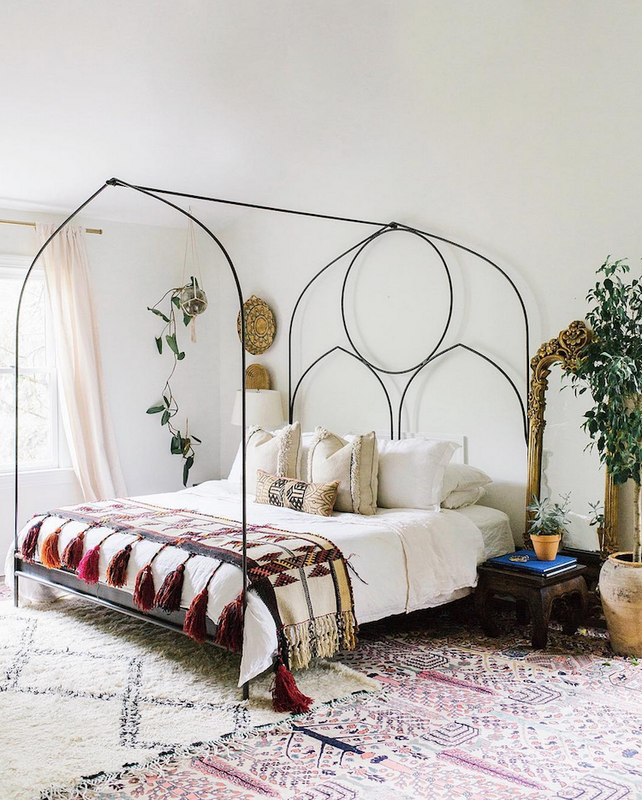 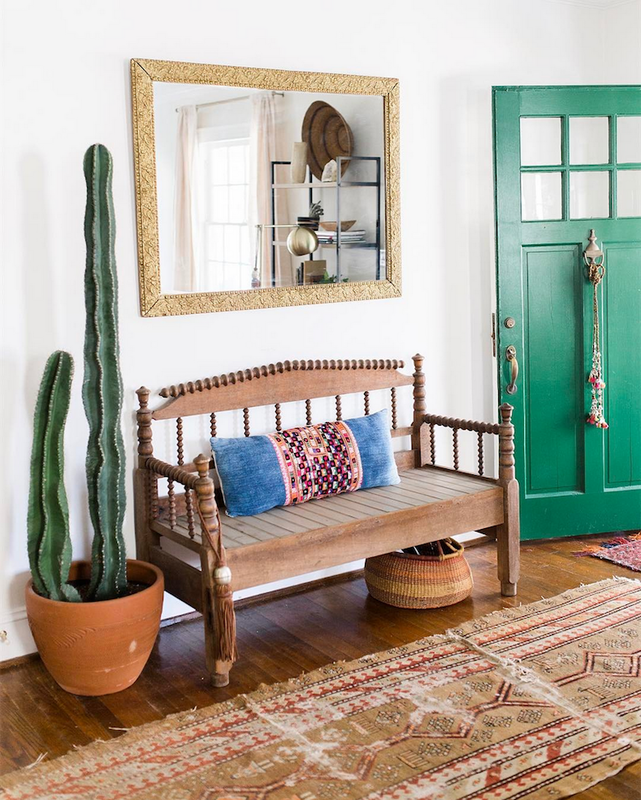 This fantastic boho interior is full of amazing rugs and pillows, natural wood tones mixed with gold elements and of course beautiful houseplants and large cacti! 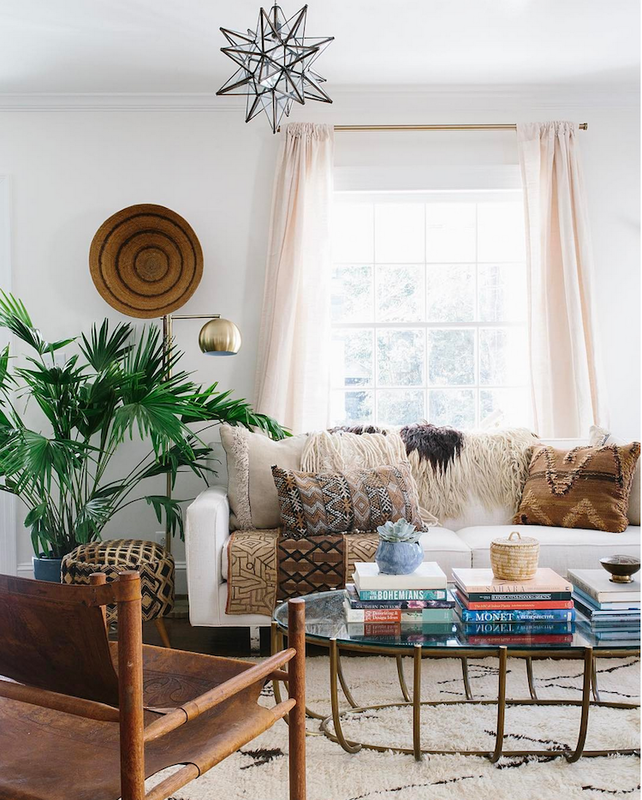 This home shine with a positive and calming energy, love it!